So what is really needed to become a ice hockey referee? The plain and simple answer is "desire". Everything else (commitment to standards, self control, skating and rule knowledge) can all be learned in-house and during the referee seminar that you'll attend. Anyone ages 11-70 can become a referee! 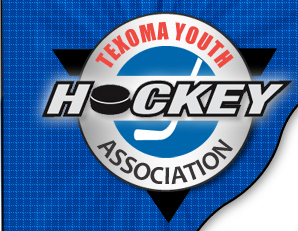 Attend a scheduled UASA Hockey referee seminar (seminars take place in OKC or DFW). Seminar fee is $20 and you will have to bring your ref gear. Go to USAHockey.com for ref seminar dates and times. In general, referee’s are assigned games according to skating abilities, rule knowledge and age (you have to be older then the age group of the teams).